If you liked this show, you should follow eFitFamily. For this week’s episode of eFitFamily, Angela Firkins will be joined by Mary Ellen Ciganovich; a speaker, educator, and writer on the topics of Attitudinal Awareness, Spirituality and how these affect your life situations. Mary Ellen has written a book of spiritual poetry that teaches the lessons people need to learn in order to have the life they deserve to live. 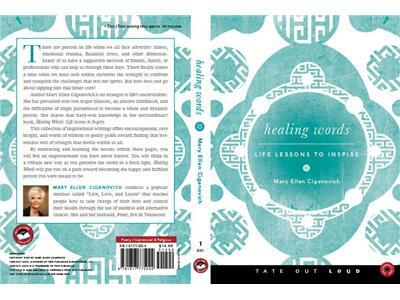 The book is titled “Healing Words – Life Lessons to Inspire” and was released nationally by Tate Publishing in February 2011. Mary Ellen’s life situations have taught her to rely on the power of God within herself.